Microsoft has officially confirmed that it will be ending support for the Windows 10 mobile Operating System. Not in this era of android and iOS that Windows 10, initially thought that it would be a major competitor to the duo will see the light of the day and as time goes by, the Microsoft OS for mobile devices continued to become less prominent in the face of Android and iOS. As Windows 10 mobile grew less prominent, at some point we were just waiting for Microsoft to call off the OS, because we were certain that it will happen but just a matter of time. 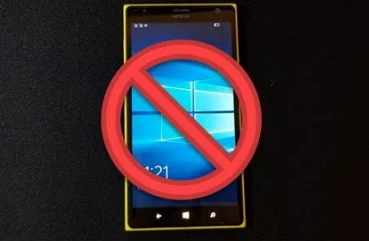 If you are still using the Windows 10 Mobile OS, you have just less than 1 year to upgrade to something else, because according to Microsoft, by the end of this year, users will no longer receive any important updates to their devices, including security updates. When the end date reaches, some features will gradually stop working and you will no longer receive any update to fix the issue. In fact at that point, Microsoft won’t do anything again about it and you will only have to upgrade or allow your device to be at risk. With the upcoming end of support to Windows 10 mobile, Microsoft has officially published a support page detailing the date and timing for each end. You can easily recall that most of the devices that support the Windows 10 mobile OS in the past were Nokia and Lumia devices. Even the new handlers of Nokia HMD Global have longed moved on away from Windows 10 Mobile OS and so what about you? You are now advised to either upgrade your Windows 10 device to android or iOS, since Microsoft the makers of the Windows 10 Mobile OS has even conceded defeat to this end.